Seven years ago Chiang Mai, Thailand saw a new type of restaurant enter the vibrant food scene. What started an endeavor to keep the doors open in a nonprofit soon morphed into a much bigger mission. Using food as a catalyst for opportunity and nourishment, Free Bird Café serves flavorful vegetarian and vegan Burmese dishes. 100% of the profits are invested into the Thai Freedom House nonprofit. Expanding beyond the initial mission of a reliable revenue stream, the café has grown into an integral part of the work of the Thai Freedom House. This grassroots community center works with Burmese refugees and minority groups in Thailand to teach language skills and art. The introduction of the café adds owning and operating a business to the curriculum. Additionally, the café employs only the most vulnerable of refugees. More on that in a minute. First, let’s take a glimpse at this mouthwatering mission... I mean menu. If any of my fellow meat lovers are hesitating, I assure you that you won’t be disappointed. When in search of bursts of flavor, look no further than the Tea Leaf Salad. Dramatically different than the typical Western salad, this dish consists of fermented (or pickled) tea leaves. Had I known the details, I might have waivered in my order. Luckily someone recommended it and I ordered without hesitation, or reading of the fine print. I savored every single bite; it was that good. Unlike the other Burmese cuisine options in town, Free Bird Café uses high quality oil and no MSGs. You’ll notice the difference in flavor immediately. Honestly you could return time and time again, trying new dishes and never be disappointed. Another favorite from my frequent visits included the samosas. The menu also includes an impressive line up of spritzers, smoothies, teas and coffees to indulge a diner’s every passion. One sip of an Apple Spritzer hits you with a burst of immense tang. They must have infused an entire apple into the drink to have such a robust zest hit you at the first sip. You’ll be wide-awake in a split second. The rich mango smoothie, made with almond milk, will have you relishing every sip. If you go the smoothie route, you might need to order a light meal as it’s incredibly filling. Next to enjoying every dish, reading through the menu may become one of the more memorable moments of your visit. It’s filled with stories of how dishes came to be on the menu, tidbits about the cuisine and a reminder of the mission you are helping by choosing to dine there. After time, the choice to serve meatless fare began to represent much more. “I believe that everything that comes into this project and that has anything to do with it is sustainable and is a positive thing,” Nesser said. This ideology fuels every aspect of the café and the nonprofit. One big component revolves around ensuring that the food served feeds into the overall mission and fuels the positive energy of the work they do. “That’s why it’s so important where we get our food,” she said. You can dine knowing that every meal features the most wholesome ingredients available. The healthy, organic and sustainably sourced menu options cover only a fraction of the work the café does. As mentioned, it creates a reliable source of income for the nonprofit Thai Freedom House. The café also only employs students currently attending the school. Employees earn above the Thai minimum wage, which is based on a day’s work. For Burmese refugees, this is crucial. Most employment options available take advantage of their situation by paying less than minimum wage while demanding longer hours. The Free Bird Café provides a paid day of training for staff every Monday. Yes, paid. That’s four paid days a month dedicated to enhancing their language skills, increasing business acumen and giving them a creative outlet through art. Additionally, they have every Sunday off. In a country where most Thai residents only have a single day off every month, this is a drastic deviant from the norm. When you chart out your culinary excursions in Chiang Mai, include the Free Bird Café to your itinerary. As a stand-alone restaurant, this café will grace you with an utterly superb meal. Knowing that you’re helping fuel an organization dedicated to creating meaningful opportunities for others makes the meal that much better. Alexandra Black-Paulick is constant wanderer and social enterprise enthusiast. As the host of the Positive Impact Podcast, she highlights compelling stories of conscious business around the globe. Tackling a variety of issues from India to Haiti to Rwanda and even enterprises addressing issues at home, this show inspires everyday do gooders to continue their unique mission to make a positive mark on the world. These days she is traveling Asia, experience the rich cultures, flavorful cuisines and dynamic scenery this side of the world has to offer. 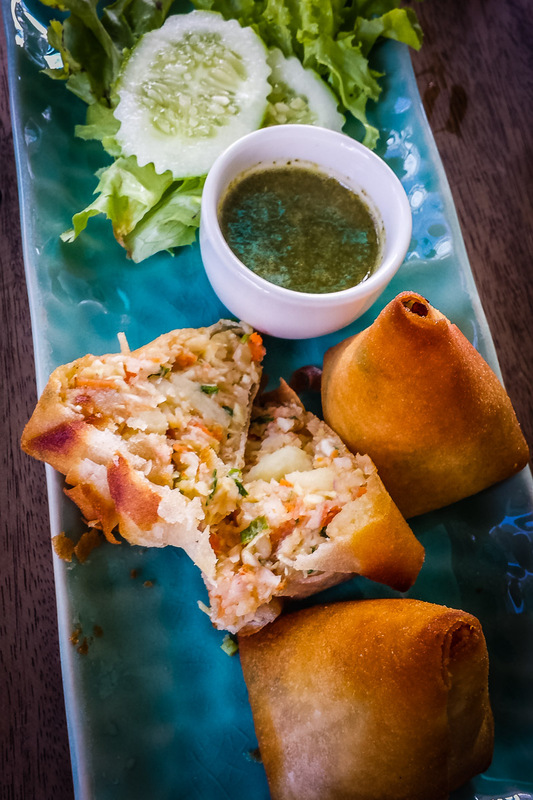 Travel to Hoi An, Vietnam for a meal at STREETS Restaurant Café, a social enterprise committed to preparing great dishes while preparing its staff for a brighter future. Read about how celebrity photographer Jeremy Cowart wants to change the world with The Purpose Hotel. Travel to Thistle Stop Cafe for a case study in how to empower women. Social enterprise On The Glo produces retroreflective knitted products to keep active travelers visible to car drivers at night. The products are knitted in the Philippines to help a rice-farming community to earn extra income.